2. How England Works – A short guided walking tour of Wivenhoe, followed by a cabaret: stories, poems and songs from Wivenhoe’s most famous citizen, the poet and rock-musician Martin Newell. The places for each of the events will be limited, so you will be asked to sign for either of the two at the time of the registration. We will do our best to accommodate all requests. There will be three evening drink receptions during the course of the conference, kindly sponsored by the ESR Spectroscopy Group of the RSC (Sunday evening), Jeol (Monday evening) and Bruker (Tuesday evening). 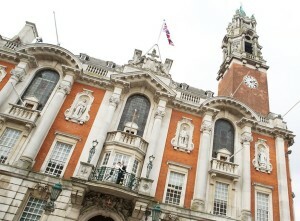 The conference dinner will take place on Wednesday in Colchester Town Hall.